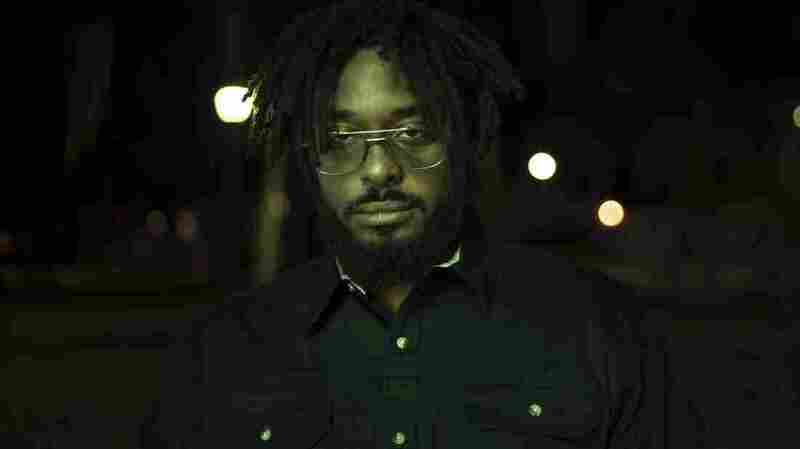 Quelle Chris Warps Our National Fascination With 'Guns' With both eyes trained on the absurd, the underrated veteran rapper parses ideologies that drive so much animus around the world. "Everything is a weapon," Quelle Chris says in the middle of a phone conversation about his forthcoming album Guns. Like a lot of things about the underrated rapper and producer — who hails from Detroit but now calls Brooklyn home — the nuance in the title is liable to sail over your head. "Yeah, I even talked to a couple of people that thought the first song was talking about me and my history of shooting people up," he says dismissively. "And I'm like, 'No, it's all just a metaphor.'" The metaphor here is both a literal and figurative read on America's ego-driven state. Quelle Chris embodies it all through a pastiche of characters and motivations that seem to shift constantly between first- and third-person. The timing of the release — due to drop two weeks after a racially and religiously motivated mass shooting in New Zealand that continues to reverberate around the world — feels far less coincidental than consequential. With both eyes trained on the absurd, the rapper parses the ideologies that drive so much animus. "Let he who is without cast the first get-out-of-my-country / Oh, the hypocrisy / Another tongue-in-cheek ode to the democracy / To help normalize the day-to-day atrocities," Quelle raps in the opening bars of "It's the Law," a song that dives deeply into the racist intentions behind white supremacy's worship of God and guns. Yet this is not some simpleminded, heavy-handed gun critique; that would be too easy. Instead, Guns addresses the factors that trigger us to act in life, whether violently or passionately. The album pairs sharp-witted social observation with Quelle Chris' own creative show of force. It's all about things "that are weaponized for good or for evil," he says. "Love, religion, race," he adds. "Fear is more powerful than a gun." 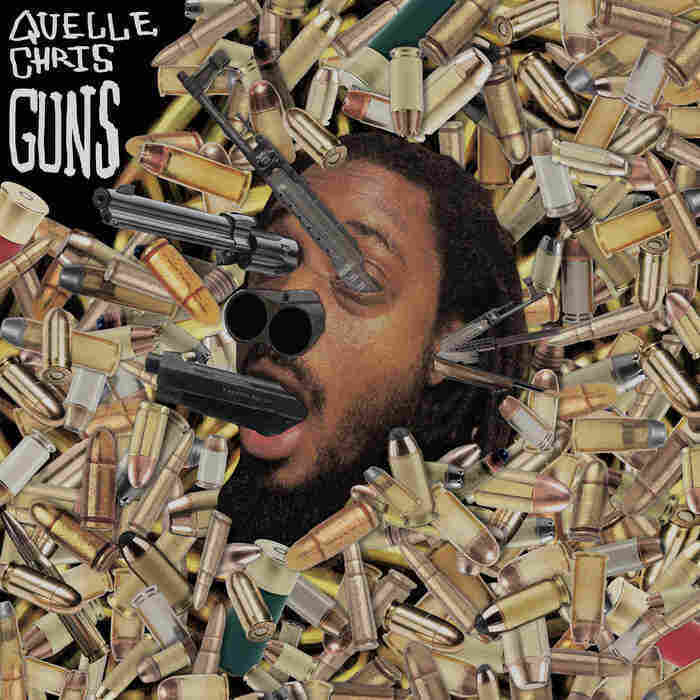 Guns follows Quelle Chris' outstanding and absurd 2017 solo LP Being You Is Great, I Wish I Could Be You More Often and the 2018 release of Everything Is Fine, a duo album with Jean Grae that satirized the hell out of these times. The new record, marked by a bold stylistic range, is largely self-produced with assists from Dane and Chris Keys. Guest verses and vocals come courtesy of Mach-Hommy, Denmark Vessey, Cavalier, Bilal Salaam, Jean Grae and others. But this is a Quelle Chris show, and one in which he's not shy about wielding his own lyrical weaponry. "I wanted to really dive into all of my arsenal. So the ego side of the title Guns is like, 'I'm pulling out all the guns,'" he says, always quick to defy expectation. "Everything I do comes from a very, very pure place. The music and the intention behind it is the most important thing to me. But at the same time," he adds, " it's been about 20 years of non-stop great music. Give me my f****** due."